We work in the Thar Desert where the expansion of irrigation agriculture has led to groundwater depletion, serious soil erosion and associated ecological damage. The Thar desert is blessed with extremely drought resistant trees that provide excellent feed for livestock. This include the Khejri tree (Prosopis cineraria), various Acacias (Acacia senegal, Acacia nilotica and others) and Bordi (Zizyphus nummularia), to name just a few of them. We believe in protecting these trees by means of customary institutions, such as orans or sacred groves. 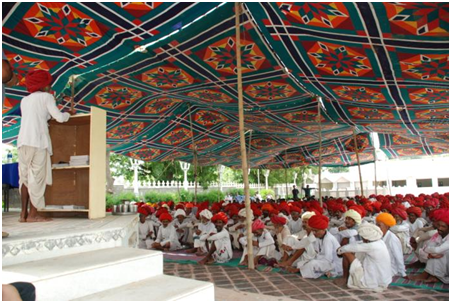 The people of the Thar Desert also have invented and developed a large variety of water harvesting techniques for both public and private use. Unfortunately these are rarely maintained now. There is often talk about the need for “Combating desertification”, such as in the context of the United Nations Convention on Combating desertification (UNCCD). 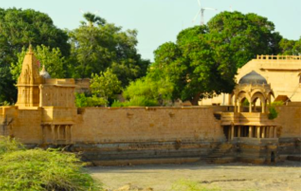 However we feel that the Thar Desert, although harsh, is actually full of riches, in terms of traditional knowledge, livestock, healthy food, wisdom and tenacity of its inhabitants, medicinal plants, and so on. We prefer to love the desert, rather than combating it, and promote use and development that is in sync with its resources and does not overexploit them. A pastoralist leader from Karnatka studies the Raika Biocultural Protocl during an experience-sharing workshop on BCPs held at LPPS training center. Biocultural Protocols or Community Protocols are statements by communities about the genetic resources they are stewarding, about their Traditional Knowledge (TK) used to manage these resources, and their role in biodiversity conservation. They are the result of a facilitated process in which communities learn about their rights over these resources under existing national and international legal frameworks and reflect about the importance of traditional knowledge for their livelihoods and their aspirations for the future of this knowledge. The significance of BCPs lies both in the process of establishing the protocol and in the product, a document that puts on record the contribution of a community to biodiversity conservation. BCPsare backed by the UN Convention on Biological Diversity (CBD) which is a legally binding instrument. We believe that BCPs are an extremely important tool. 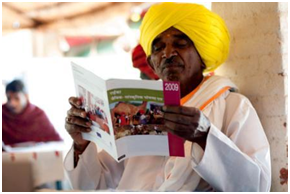 We facilitated development of the first BCP by a livestock keeping community (the Raika) and are currently supporting another one by the Jaisalmer Camel Breeders Association. LPPS has organised several training programmes on BCPs and intends to place emphasis and promote this approach further in the near future. In 2006, Indian parliament passed the Recognition of Forest Rights Act, 2006, popularly known as the Forests Rights Act (FRA) that was enacted through the Ministry of Tribal Affairs to correct the ‘historic injustice done to forest-dwelling communities’. Its purpose is to provide tenurial security to traditional forest dwellers. Mobile pastoralists also qualify as such traditional forest dwellers. For this reason, LPPS has supported a large number of pastoralists and other communities around its base in Sadri to compile and submit their claims for forest rights. However, up to date, no pastoralist group –anywhere in India - has successfully obtained community rights to their customary grazing areas under this Act. It is urgent that Forest Rights are granted, as without forest rights, many livelihoods will collapse, especially considering that the Kumbhalgarh Wildlife Sanctuary has been eramerkd to become a National Park which will mean even greater restrictions. 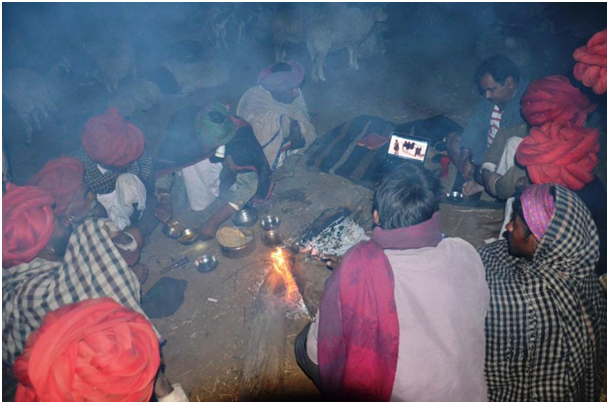 LPPS is collaborating with other organisations in Rajasthan and throughout India to get Forest Rights implemented. LPPS director Hanwant Singh Rathore shows a film about Mongolian camel breeders to Raika shepherds while they are on migration. LPPS had its roots in a research project, and in-depth documentation of traditional knowledge and practices has been one of its strengths. We have learned that successful documentation is only possible if you are trusted be people. Most insights are not gained by means of questionnaires, but through casual conservations. 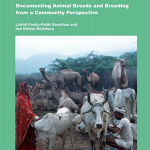 In the context of a GTZ project, LPPS developed the LIFE Method of documenting local livestock breeds (link) which is now a pillar of Biocultural Community Protocols. Recently, LPPS was a partner in the Ark of Livestock Biodiversity project which was led by LPP. The purpose of this project was to identify and analyse for nutritional contents, the products of local livestock breeds. The results confirmed that products from bio-diverse production systems, such as ghee from Tharparkar cattle and meat from Jaisalmeri goats had higher nutritional value then products from conventional systems. LPPS was the first to identify and document several indigenous livestock breeds that had escaped the attention of scientists. These include the Malvi camel and the Nari cattle breed. Currently, we are involved in documenting the Boti sheep, a breed that is native to the Godwar area of Rajasthan and close to extinction. 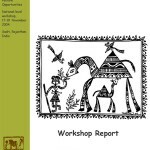 This is pursued in the context of a project on community conservation supported by the FAO. LPPS has also provided a significant number of international research students the opportunity to document and analyse local practices with respect to conservation practices, ethnoveterinary medicine, camel milk production, gender differentiation of work, customary property rights, attitude of young Raika, and so on An on-going documentation project concerns the migration route and livelihoods of nomadic shepherds that wander from Godwar to Mewar and Madhya Pradesh. We believe that value addition and product development represent an important opportunity for pastoralists to increase the economic returns from their livestock. 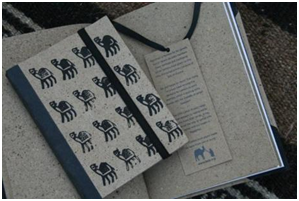 We first realized this in our efforts to save the camel as an important part of Rajasthan’s biocultural heritage. 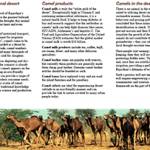 Demand for the camel as a work animal ahs greatly reduced in recent decades, so what other products are there that can make it worthwhile and profitable for camel breeders to herd these animals. In the course of solving this problem we identified many unexpected options – camel milk is a health tonic, especially useful for Diabetes patients and autistic children. Camel milk ice cream is a novel product everybody likes to try. The wool from Rajasthan’s dromedaries can be fashioned into dhurries (rough wool) and stoles (fine wool). From camel dung we make “desert paper” (containing 36 plants) and from the milk we also make soaps that are a treat too your skin. This work is now pursued by Camel Charisma, a social enterprise. But LPPS sees greta potential for developing a special label for the products from pastoralist systems. This idea came out of our Ark of Livestock Biodiversity (link) project.